Citroen has announced the appointment of 11 dealers, from its current network, to specialise in sales and servicing for its new full-electric city car, the Citroen C-ZERO. The 11 dealers that make up the ‘Citroen Electric Vehicle Specialist Dealer Network’ have been selected to provide extensive geographical coverage of the UK and are typically located in larger cities and areas associated with the Government’s Infrastructure support - known as Plugged-in Places. All of Citroen’s EV specialist dealers will provide a C-ZERO demonstrator for customer test drives, plus an electric vehicle charging bay - complete with a charging post, hard standing and signage. 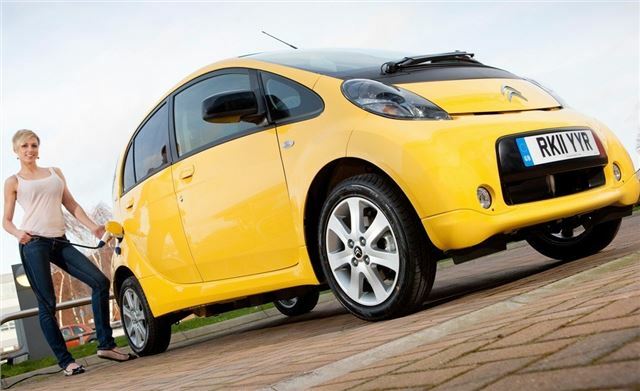 The dealers also have two nominated sales and two aftersales electric vehicle specialists who will be fully trained, with access to all the necessary special tools and equipment to prepare, service and maintain the new C-ZERO city car. Available exclusively from one of Citroen’s new EV dealers, Citroen customers can now benefit from the Government’s £5,000 Plug-in Car Grant via a comprehensive ‘peace-of-mind’ package for both business and private users with the C-ZERO available to lease at £415 per month (excl. VAT) over 4 years or 40,000 miles. The offer includes the lease of the vehicle, the battery pack, and all scheduled servicing and maintenance. The C-ZERO is designed to make metropolitan mobility easier, with compact dimensions, a tight 9.0m turning circle, a rapid battery charge facility and sufficient range - up to 93miles - for the majority of day-to-day car journeys. A high level of specification, with a range of comfort enhancing features, ensures users enjoy the economic and environmental benefits of electric power without losing the equipment of conventionally powered vehicles.